Unless you live in a place where the winter means snow, snow and more snow, using the bike in the coldest time of the year is not only recommended, but will make you keep the pace of training for the next year. To be able to train in the best possible conditions, it is not only you that have to be prepared, but also your bike. We detail the best tricks so that the cold does not freeze your pedals off. Winter is the time of year when many of us combine bike training with gym work, roller or other indoor activities. No doubt all are useful to prepare for next year, but if you do not want to stop pedaling outside no matter how cold it is, here at ROTOR we want to give you some small tips on how to take care of your bike in the most intense cold. Why not? Using more suitable tires for wet weather and bad conditions will avoid unnecessary scares, especially on the road bike. 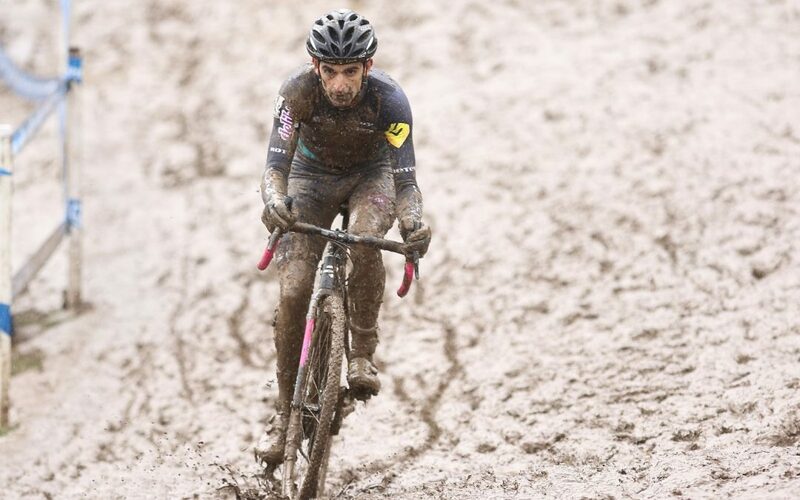 If you are also one of those who still use 23mm tires, it would be nice if in winter you pass to a 25mm or even 28mm (if your fork and frame allow it) with a little more tread to drain water better and have more grip. As in the tires you use in summer, the right pressures are essential for us to have a good contact surface with the asphalt. If you use the mountain bike and go out in areas that are prone to getting muddied by rain or snow, a specific water and mud tire will prevent it from accumulating in the tires and have better grip in the most slippery areas. The cold is especially aggressive on all the elements of the transmission. At Rotor we always recommend cleaning the entire transmission after each ride (cassette, chain, derailleurs and chain rings) but in winter this should be done with more care and frequency, especially if it rains a lot or if you ride in areas with a lot of mud. In addition to using a good degreaser and a brush to remove dirt particles that remain in all corners of the transmission, it is important that the oil you use for the chain and other moving parts is of a greater density that lasts longer. These usually last for longer even if there is a lot of rain or mud. Regardless of the oil you use, you should clean the transmission better and more often and apply more oil, especially on the chain, than you usually apply in other seasons. Today, in which almost 100% of new road and mountain models come with integrated headsets (without external cups and direct bearings on the frame), we see how the headset bearings are very prone to soil and water contamination. Especially the bottom bearing on the fork. In winter everything multiplies, since there is much more water on the asphalt and much more dirt and mud on the mountain. The fork receives a lot of that water and mud, so in winter it is advisable to clean the headset bearings more often and apply a layer of grease a little more generously. In the same way, if you have a BB30, Press-fit or similar type BB (anything that is not threaded), it is easier for the bearings to get dirty too. Both for the headset and for the bottom bracket, there is a special grease that is resistant to water more, which is usually used in boats. Once checked with the manufacturer of the frame and the bearings which the types of grease you can use, this type (which is usually blue) will better protect the bearings for use with water and dirt. If you ride a mountain bike in areas where sub-zero temperatures are a norm in winter, you should take special care with suspension elements and telescopic seatposts. Extreme temperatures below zero, especially from -10 degrees Celsius, cause a change in the behaviour of the oil, as well as the compression in rubber and similar joints, which can lead to failures in hydraulic systems especially when the suspension is very cold and receive large impacts. It is difficult to do anything about it, but do not forget to have the suspensions checked 100% as well as greasing the seals and the cables for the lockout or the telescopic seatpost. The smoothness and accuracy of the cables and outers for both the gears and brakes are also affected due to temperatures and water. In the same way that we commented to you that the transmissions in winter have to be cleaned and greased more often, the cables and outers as well. A good option is that when winter arrives, install new gear and brake cables and outers. This is going to help them work better and insure there is not too much friction. If you are one of the lucky ones that you use a UNO Rotor group, you will not have these kind of problems, since it is a system that does not use conventional cabling and the smoothness and precision are always the same regardless of the weather conditions. The union of the cleats and pedals is a fundamental point to take care of in winter, so that both the coupling and the disengagement are always good. On road pedals, it will suffice to dry the pedals and cleats after each ride and apply a few drops of oil to the pedal mechanism. In the case of mountain bikes the subject is more delicate, because it is common for dirt and mud to accumulate in both the cleats and pedals, so it is highly recommended to clean both after each ride and really lubricate the anchor mechanism of the cleats on the pedals. This will facilitate both the entry and exit of the cleat regardless of the conditions in which you pedal. To keep the frame in good condition regardless of rain or mud, you can use a type of spray that has an oil base with more oil content that makes neither water nor dirt adhere to the frame and transmission, keeping them in better condition during rides. This will help the transmission work better and that other moving parts of the bike will not be affected so much by the water or mud accumulations. The less dirt accumulates, the less the risk of water accumulation, as well as the possibility of corrosion and oxidation of screws and other elements. In addition, it will be much faster to clean the bike and re-grease for the next day. Another way to protect the frame and other components, especially on road bikes, is the use of fenders in winter. And we talk about complete mudguards. A total protection from water, will, besides keeping you from getting wet, will assure that water does not reach so much of the moving elements of our bike. There are many models on the market depending on the type of frame and fork, which can be installed without problems and make your rides much more pleasant.